Research in my lab is focused on angiogenesis, or new blood vessel formation, which is a critical process in development and disease. My lab aims to advance the fundamental understanding of the cellular, molecular, and hemodynamic mechanisms underlying arterial-venous programming in normal and pathological angiogenesis. We use cutting-edge mouse genetics to delete or express genes in a cell lineage-specific and temporally controllable fashion in endothelial cells. 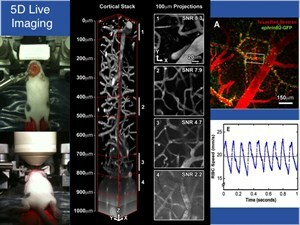 This advance is crucial for the study of candidate genes in vascular function, especially when combined with sophisticated 5D two-photon imaging (3D + blood flow over time). These innovative approaches provide us with exceptional access to gene function in both healthy and pathological conditions in living animals. 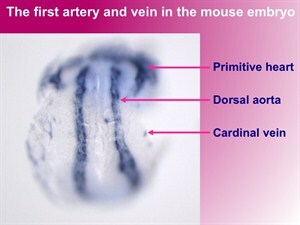 This basic approach is complemented by preclinical studies with patient samples in addition to our mouse models of disease. In particular, we investigate the molecular regulators governing arterial-venous programming – particularly the Notch, ephrin-B2, and TGF-beta signaling pathways – in both normal and pathological conditions. 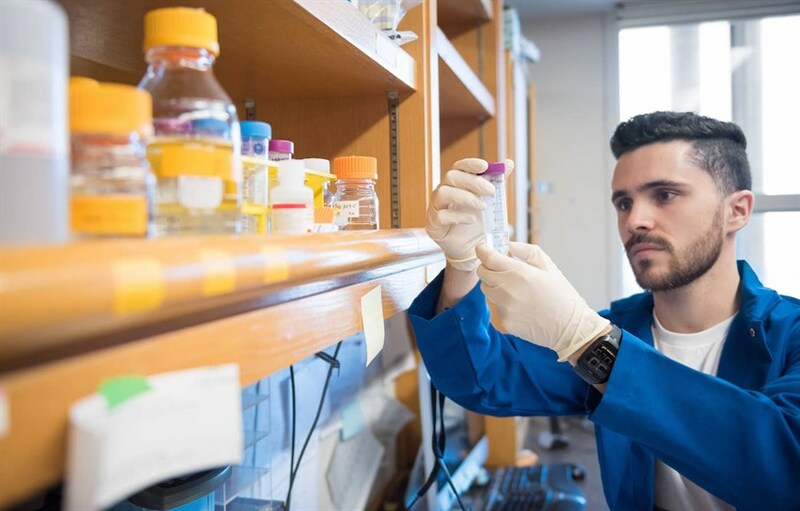 Ultimately, through the distinct but interconnected fields of study below, we hope to identify novel drug targets and inform rational design of new therapeutics to treat human disease. Our lab aims to identify molecular regulators of arterial and venous cell fate determination and morphogenesis in embryonic development. We primarily focus on the origin and morphogenesis of the dorsal aorta and cardinal vein, the first major artery-vein pair to form in the body. AVMs are severe vascular anomalies that shunt blood directly from arteries to veins, displace intervening capillaries, and bypass tissues. My lab studies the pathogenesis and regression of AVMs. We have a long history of investigation using animal models into Notch-mediated AVM pathogenesis as well as into potential treatments for the disease. The body responds to arterial occlusions by inducing arteriogenesis, or radial enlargement of arteries, to restore circulation to blood-deprived tissue. 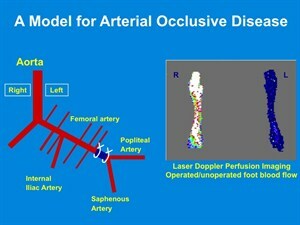 We are investigating pro-arteriogenic molecular regulators to uncover potential therapeutic targets, which may be used to enhance the body’s natural defense against arterial occlusive disease. Solid tumors induce arteriogenesis to support their growth. 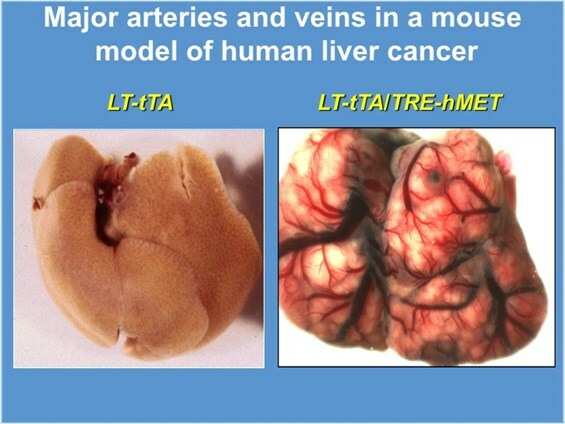 We investigate the molecular stimulators of arteriogenesis in tumor progression and regression, particularly in hepatocellular carcinoma (HCC), which is characterized by large and highly arterialized tumor masses in the liver. We study genes regulating tumor arterial growth and modify these genes to target tumor arterial supply and to inhibit HCC growth.